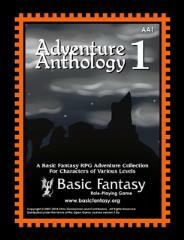 This is the first Adventure Anthology Series multi-adventure module for the Basic Fantasy Role-Playing Game! Herein you will find a collection of small adventure modules, playable in a session or two, written by various authors. The adventures in this collection are in varied styles and are suitable for characters from first level to eighth.